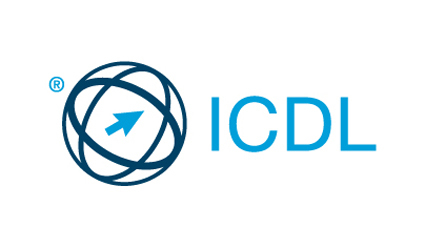 The ICDL Certification Program provides online learning and certification for participants on skills and competencies foundational to the successful use of computers and common computer applications. The certification program includes modules focused on a wide range of topics such as computer essentials, word processing, IT security and online collaboration. Each module consists of a learning module and an exam. In the learning section, users acquire the necessary skills in order to prepare for the certification examination, and the exam demonstrates that the user has gained sufficient proficiency in the required areas. The International Computer Driving Licence (ICDL) Certification Program successfully underwent the International Society for Technology in Education (ISTE) Seal of Alignment review for Readiness. Reviewers determined this resource assesses foundational technology skills needed to support the 2016 ISTE Standards for Students. The ICDL Certification Program covers a broad range of knowledge and skills foundational to the ISTE Standards for Students. Both the learning modules and certification exams cover a broad range of foundation programs and topics, including word processing, spreadsheets, computer essentials, IT security, etc., and at varying levels depending on a user’s specific needs and abilities. “Reviewers found that the modules were impressive for both the scope and depth of the knowledge and skills they addressed, and by participating in this program, educators can learn valuable information on the foundational digital skills and knowledge they or their students." 1.a. Students articulate and set personal learning goals, develop strategies leveraging technology to achieve them and reflect on the learning process itself to improve learning outcomes. 1.b. Students build networks and customize their learning environments in ways that support the learning process. 1.c. Students use technology to seek feedback that informs and improves their practice and to demonstrate their learning in a variety of ways. 2.a. Students cultivate and manage their digital identity and reputation and are aware of the permanence of their actions in the digital world. 2.b. Students engage in positive, safe, legal and ethical behavior when using technology, including social interactions online or when using networked devices. 2.c. Students demonstrate an understanding of and respect for the rights and obligations of using and sharing intellectual property. 2.d. Students manage their personal data to maintain digital privacy and security and are aware of data-collection technology used to track their navigation online. 3.a. Students plan and employ effective research strategies to locate information and other resources for their intellectual or creative pursuits. 3.b. Students evaluate the accuracy, perspective, credibility and relevance of information, media, data or other resources. 3.c. Students curate information from digital resources using a variety of tools and methods to create collections of artifacts that demonstrate meaningful connections or conclusions. 3.d. Students build knowledge by actively exploring real-world issues and problems, developing ideas and theories and pursuing answers and solutions. 5.a. Students formulate problem definitions suited for technology-assisted methods, such as data analysis, abstract models and algorithmic thinking in exploring and finding solutions. 5.d. Students understand how automation works and use algorithmic thinking to develop a sequence of steps to create and test automated solutions. 6.c. Students communicate complex ideas clearly and effectively by creating or using a variety of digital objects, such as visualizations, models or simulations. 6.d. Students publish or present content that customizes the message and medium for their intended audiences. 7.c. Students contribute constructively to project teams, assuming various roles and responsibilities to work effectively toward a common goal. 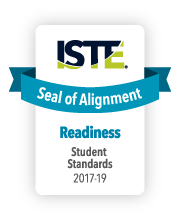 This resource offers a flexible implementation plan and opportunities to practice the skills and knowledge necessary to meet the 2016 ISTE Standards for Students.